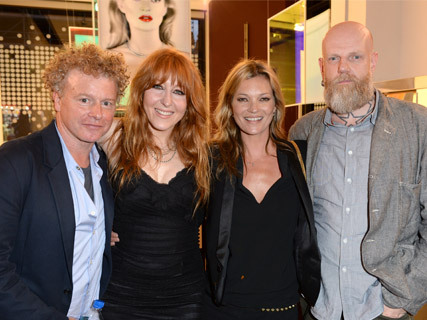 Kate Moss dared to bare at an exclusive make-up bash held by pal Charlotte Tilbury at Selfridges last night. The supermodel dressed all in black for the event, which celebrated the launch of the store’s first ever beauty festival, and a whole week of make-up activities. Ms Moss, who wowed in a slinky black dress and tux jacket, was met by a giant, 3D portrait of herself, by photographer Chris Levine. The imposing picture, by the artist famed for his moody portrait of the Queen in 2004, was unveiled for the first time last night.